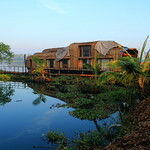 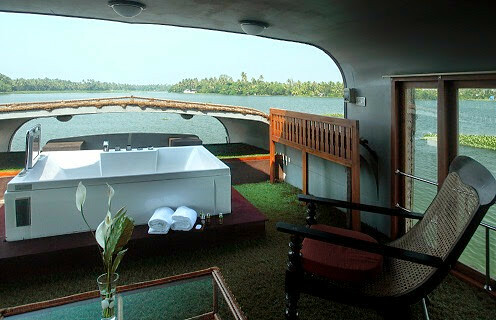 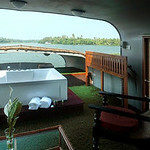 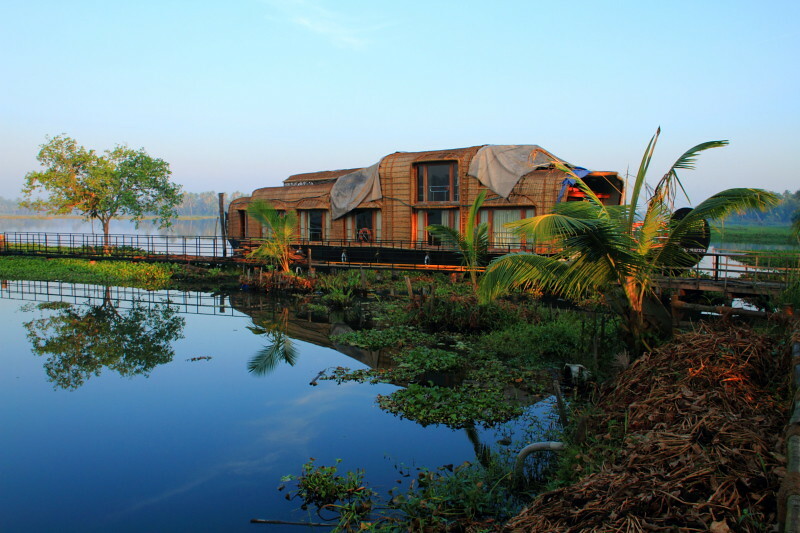 Luxurious AC, 2 cabin houseboat that cruises the backwaters from Alappuzha. 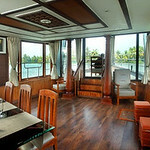 Includes Upper Deck with Jacuzzi and complete AC. 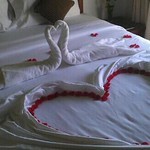 1-2 nights available! 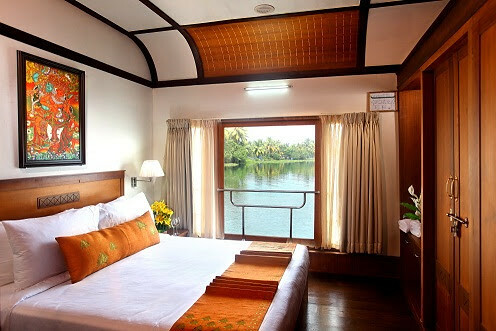 Two comfortable bedrooms with queen size beds ensure a good night's sleep rocked by gentle waves. 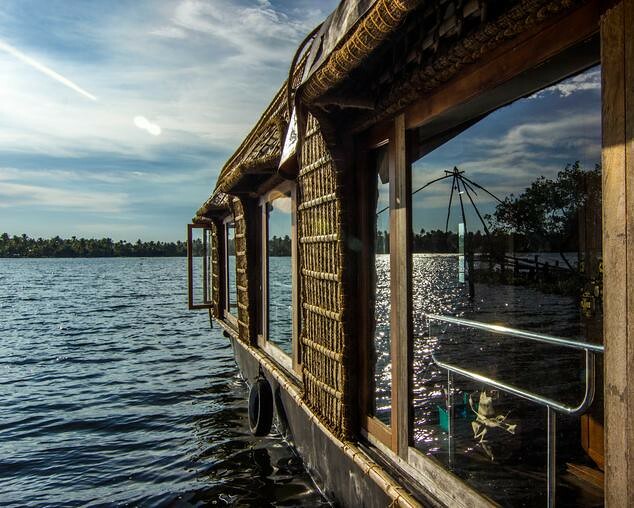 Sample the brew of traditional toddy tappers and homemade delicacies at waterside eateries, or buy fresh shellfish from fishermen that the chef on board will cook for you in delicious Kerala spices. 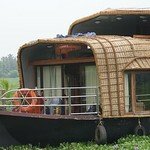 The houseboat is completely air conditioned throughout so very comfortable whatever the temperature. 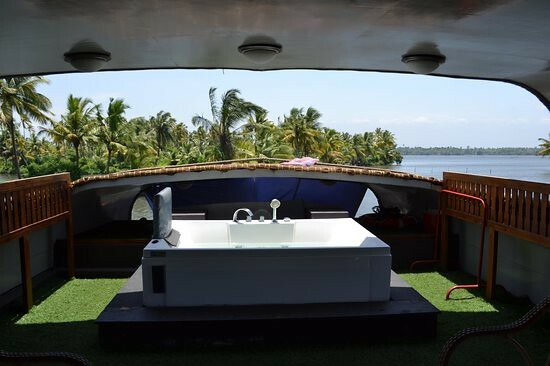 There is an upper deck with jacuzzi (yes!) 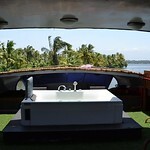 so you can float in every way in privacy while taking in the stars and the surrounding landscapes. 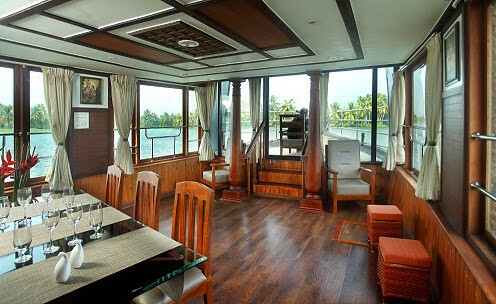 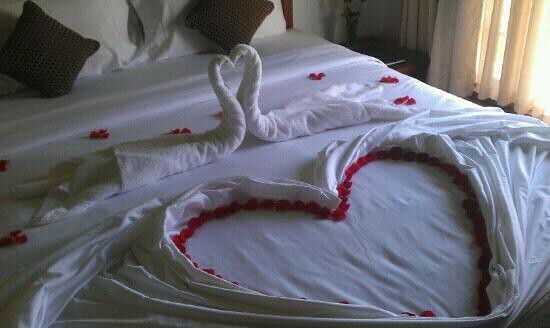 Your cruise includes all accommodation, meals (cooked aboard) and AC. 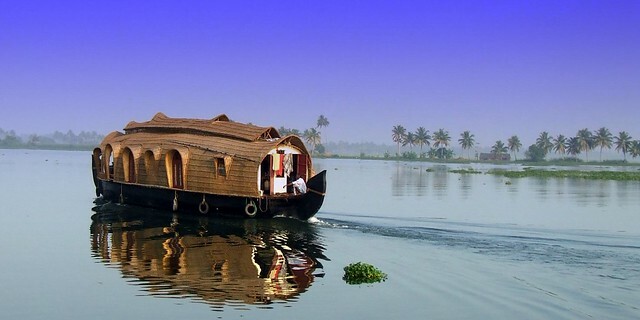 Routes vary according to season and cruise duration. 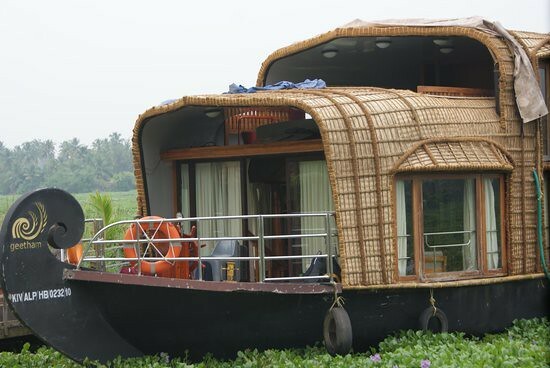 Important Details about the route: this houseboat is the most northerly of the boats and cruising north of Vembanad between the lake and Cochin. 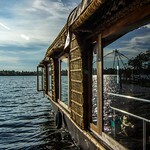 You see a very different backwaters with almost no other boats around which is quite fun!